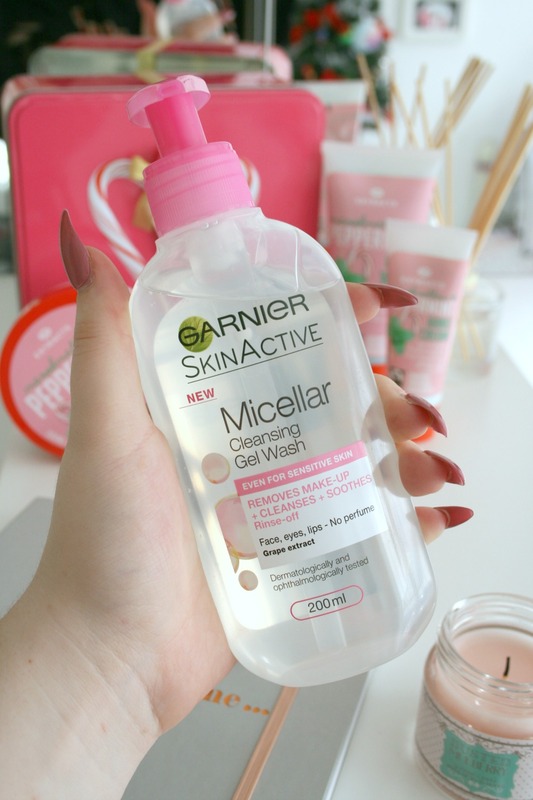 Micellar water is probably one of the biggest skincare sellers right now, so when stocking shelfs in work one day and noticing the Garnier Micellar Cleansing Gel of course I had to buy one immediately! I mean if it does the exact same as the Micellar Water but is even quicker at removing your makeup like sign me up right now. I hadn't and still haven't come across any advertisements for this product and haven't seen many reviews either. So when buying this I didn't really know if it was going to be good or not, but Boots currently have it at an introduction price so it's simply rude not to pop it into your basket. Garnier have become one of those brands that I trust and truly enjoy their products, so to see them come out with something I had never even come across before I was super excited. Do any other brands have a Micellar wash? Like I said though this was the first time I had ever come across a product of this type. Just like the water it claims to remove your makeup and cleanse the skin. So is it as good as the water? It's even better in my opinion and let me tell you why, the consistency is very water-like so a few pumps really go along way. Once you work that into your skin and then rinse it off your makeup is totally gone and you're ready to move onto the next step of your skincare routine. With the Garnier Micellar water I find that after a few swipes it starts to leave a residue behind which just creates extra work. Plus you've to use cotton pads with it too and I cannot count how many times I've ran out of them and only noticed when I'd go to remove my makeup. While some washes can be so drying on the skin, this leaves my skin feeling so refreshed and cleansed and I don't feel like my skin has been dried out which is absolutely brilliant. There is nothing worse than using a face wash and then feeling like you've seeped your face in water for 20 minutes because it feels so dry. It's even gentle enough for me to use on my eyes which I absolutely adore, literally it's so hard to find something that will work with my mega sensitive eyes. So if you're on the market for something new to remove your makeup, or you just really love Garnier's Micellar Water I'd definitely recommend you picking this up because you'll love it. They also have the oily skin version of it too just like the water. They're both on offer for less than €5 in Boots at the moment! Have you tried the Garnier Micellar Gel Wash yet? This sounds amazing, I love the normal cleansing water so I need to try this! Oooh this sounds lovely! I need to give it a try! !